All the convenience and security of fingerprint recognition multiplied by 5 for each of your fingers and then supersized. 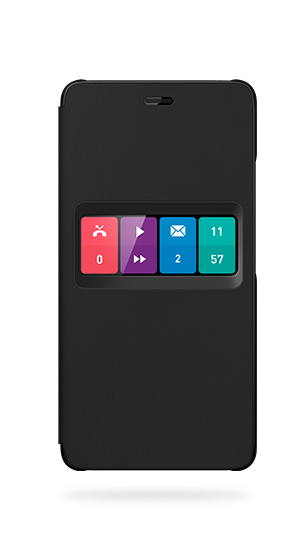 Ufeel Fab is the newest and biggest member of the trendy urban Ufeel range, allowing you to customise actions and fully personalise your device. For added security, register your finger to lock and unlock your sensitive content or to store private files in encrypted boxes. 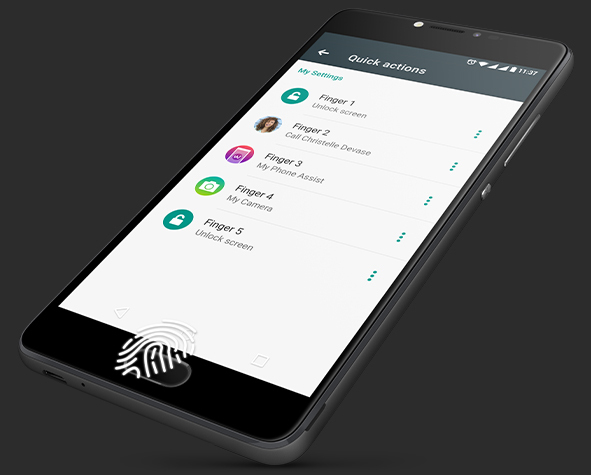 The possibilities are endless – instantly unlock with your thumbprint from any angle in 0.48s, open Snapchat with your index finger, secure your sensitive apps, pictures or files with your ring finger, check your e-mail with your middle finger or call your best friend with your pinkie. 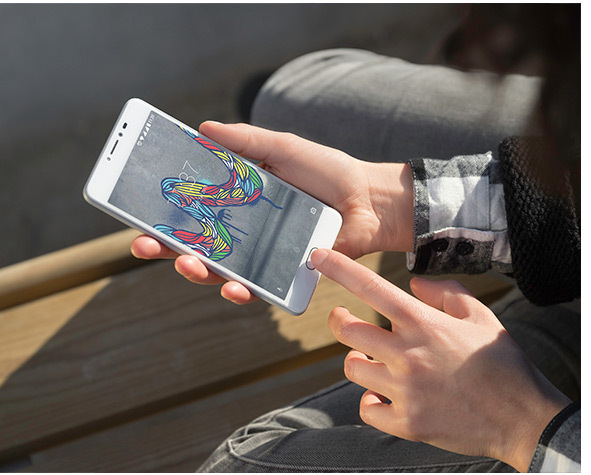 Sporting a XL 5.5” HD screen with a high resolution of 1280 x 720 pixels, you’ll enjoy enhanced viewing comfort with images and text that are sharp, bright and easy to read outdoors, even in broad daylight. You can reap all the benefits of the large screen while using it as a standard 5” smartphone with the One-Handed Mode. A true powerhouse, it’s faster for longer with the large 4000 mAh battery that won’t let you down and selfless power sharing capabilities, using it as a power bank. Its Quad-Core processor and 4G LTE connection allow you to enjoy an ultra-fast, immersive multimedia experience with quicker start up, download and upload speeds. A feast for the eyes, its neo-retro design is characterised by a sleek metal and Soft Touch finish. 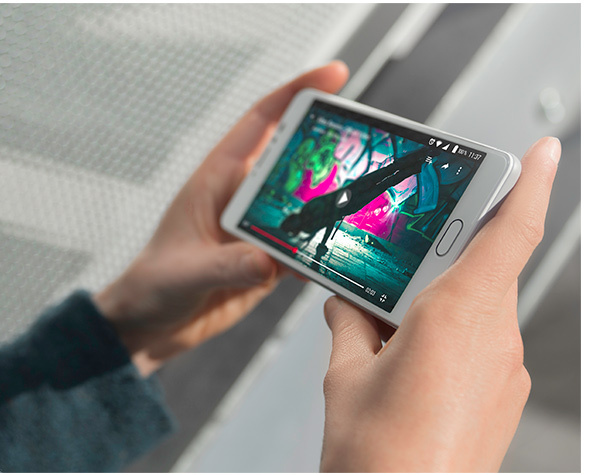 The elegant 2.5D curved display is fresh, modern and more ergonomic, making the phone easier to hold and navigate. Managing your main settings and apps is a breeze with the Phone Assist hub. There’s quick access to 80% of your daily usage all on one screen with a simple swipe using My Smart Left Page. The fun camera with a 13MP sensor and 5P lens ensures luminous photos and improved image quality with minimal noise. It’s ready when you are and built for speed with a rear LED flash and 0.4s Auto Focus. 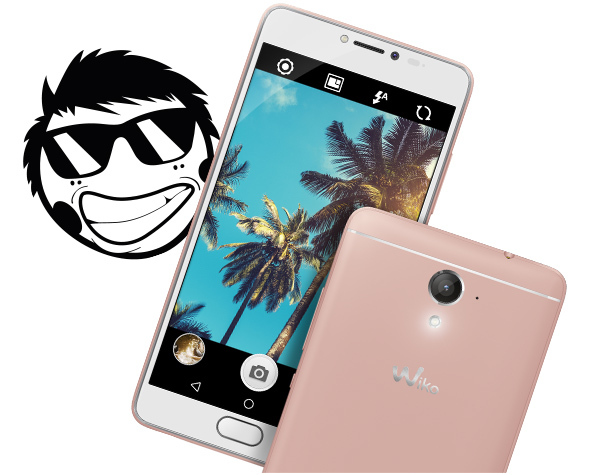 Also equipped with a 5MP Selfie flash front shooter, it captures every photo op. Then easily sort and manage your favourite songs or reshuffle and modify playlists in My Music while on-the-go playing songs, or take it down a bit with the Sleep Mode. 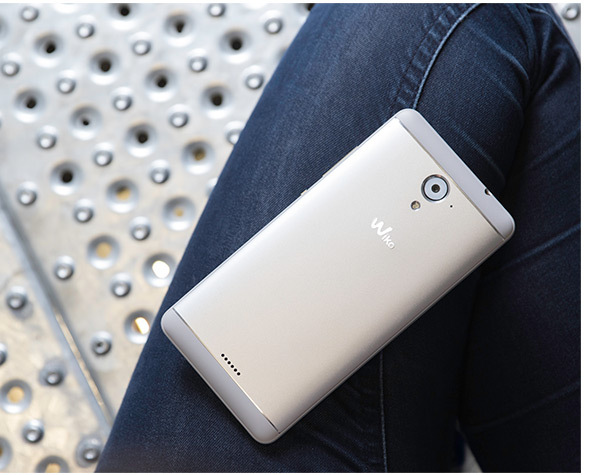 Adding a new dimension to the fun and entertainment are the new Wikojis reflecting Wiko’s personality.